The Chicago Cubs lost one of their biggest fans on Saturday, March 23, 2019. 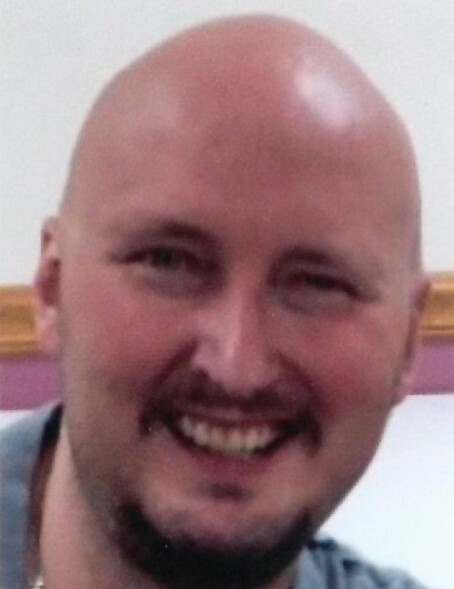 Jason William Hermacinski, 39, of Washington, formerly of Morton, passed away at 3:35pm at Washington Christian Village. He was a beloved son, born on January 23, 1980 in Peoria to the late Ralph Hermacinski and his surviving mother, Linda (Bailey) Smith and stepfather, Clark Smith. He was a loving father of Ethan William Hermacinski of Cambridge; a dear brother survived by brothers John (Rebecca) Heubi of Summerville, SC, Gregory (Tonya) Heubi of Mohave, AZ, Gerry (Deanna) Horton of East Peoria; step-siblings, Kimberly Cavins, Karen (Paul) Grant, Brian (Julie) Smith, Brad Hermacinski, and Paula Schneider. A 1999 graduate of Washington Community High School, Jason also attended Illinois Central College. He was a devoted member of Faith Lutheran Church in Washington, where he was baptized, participated in confirmation, and gained a Pastor and a friend John Rothfusz and many members of the congregation. Jason has a true compassion and love for his fellow man. He worked in Eureka assisting developmentally disabled adults until no longer physically able to do so. He then found a new home working and entertaining co-workers at Walmart in Washington with his sense of humor and positivity. Jason enjoyed many things in life, most notably, his pride in his son Ethan, his beloved dog Wolfie, the Chicago Cubs, video games, and dining out with family and friends. Baseball’s opening day will have another “Angel in the Outfield”. While Jason’s life was short and challenging, his love for his family and friends will live on forever. A service to honor Jason’s life will be held at 10:30am Thursday, March 28, 2019 at Faith Lutheran Church in Washington. Pastor John Rothfusz will officiate. Visitation will be from 5-7:00pm Wednesday, March 27, 2019 at Deiters Funeral Home and Crematory in Washington, and one hour prior to the service at the church. Jason’s final resting place will be next to his father at Glendale Cemetery in Washington. In lieu of flowers, the family suggests a donation to the United Leukodystrophy Foundation, 224 N. Second St., DeKalb, IL 60115 or to Faith Lutheran Church, 2206 Washington Rd., Washington, IL 61571.